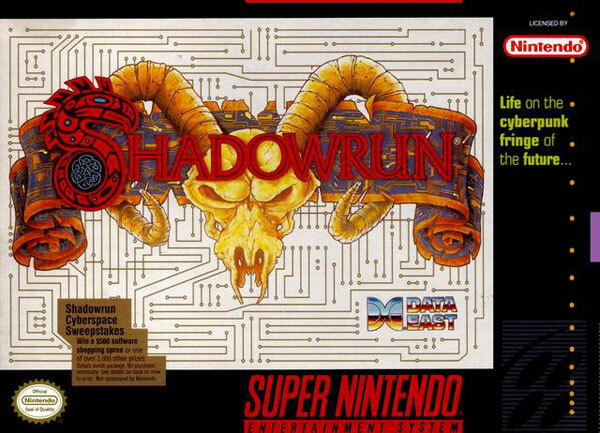 Shadowrun for Super Nintendo has you awaken in the city morgue obviously, whoever brought you here thought you were dead. Unable to remember anything about your past, you embark on a journey to discover who wants you dead and why. In this real-time RPG, you're in for the fight of your life as you take on everything that comes your way, from dragons to vampires to heavily armored hitmen. While on your journey you'll make some allies, but you never quite know whom to trust in this adventure through the future. For 1 player.